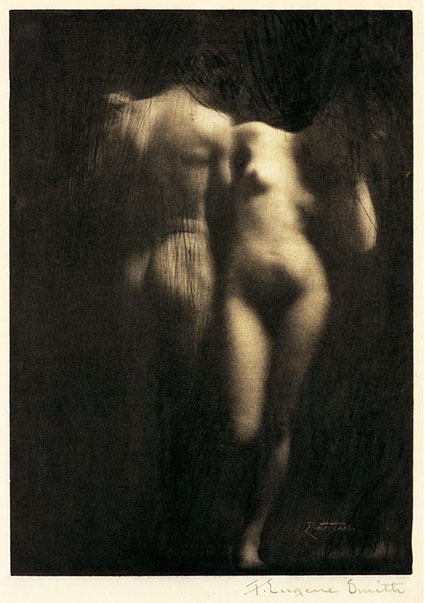 Frank Eugene Smith, who was later known by his artist name Frank Eugene and who adopted German citizenship in 1906, was born in New York in 1865. 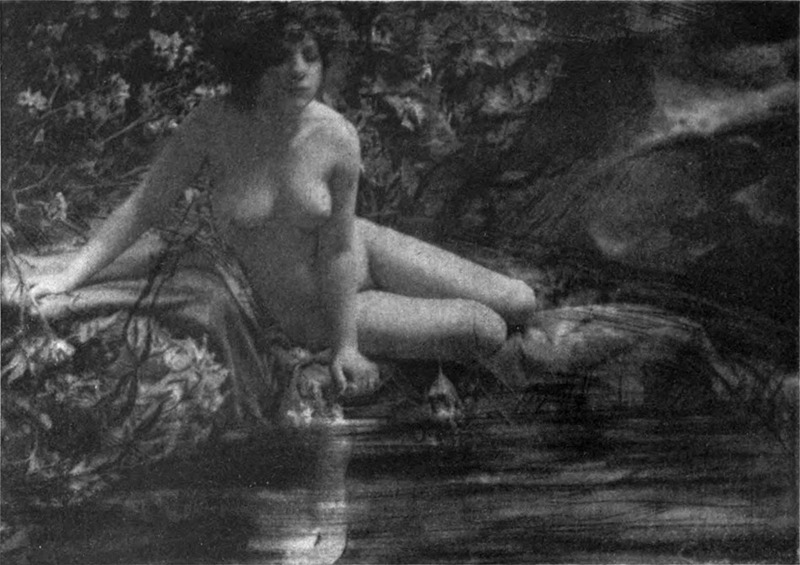 After a first training at the City College, Eugene began to study painting in New York in 1884 and switched to the Akademie der Bildenden Künste in Munich in 1886. During his years of study Eugene began to be interested in the new media of photography and studied further autodidactically. 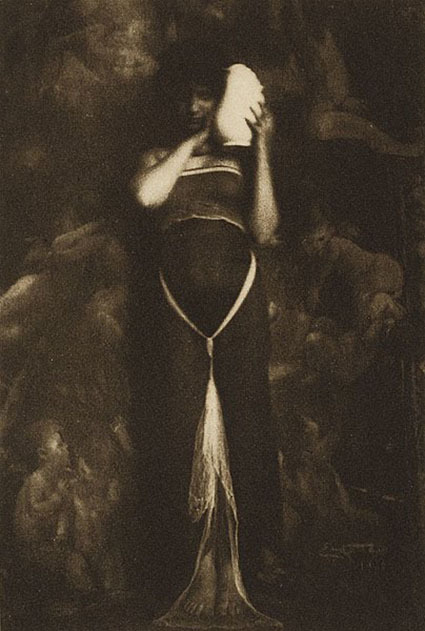 As soon as 1889 Eugene had his first one-man show at the Camera-Club’ in New York, which was founded by Alfred Stieglitz. 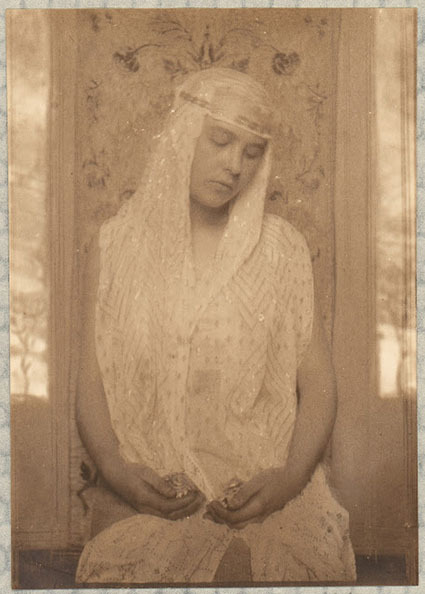 After his graduation Eugene returned to New York in 1894 and worked for some years as a stage designer and portrait painter, specialising in portraying well-known theatre-actors. 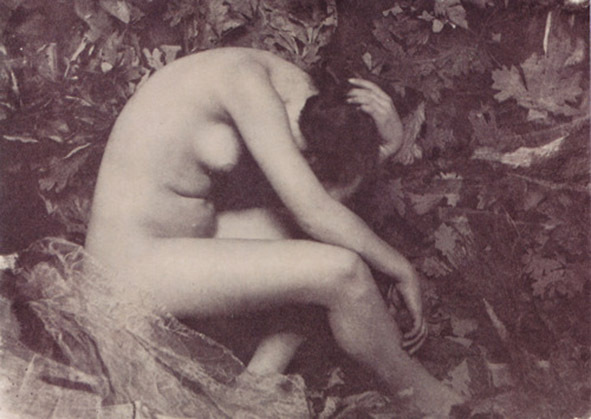 Since 1900 he lived in Germany again and got envolved with artistic photography, was admitted to the Linked ring’ in London and founded – together with Stieglitz and Edward Steichen – the American photographer’s society Photo-Session’. 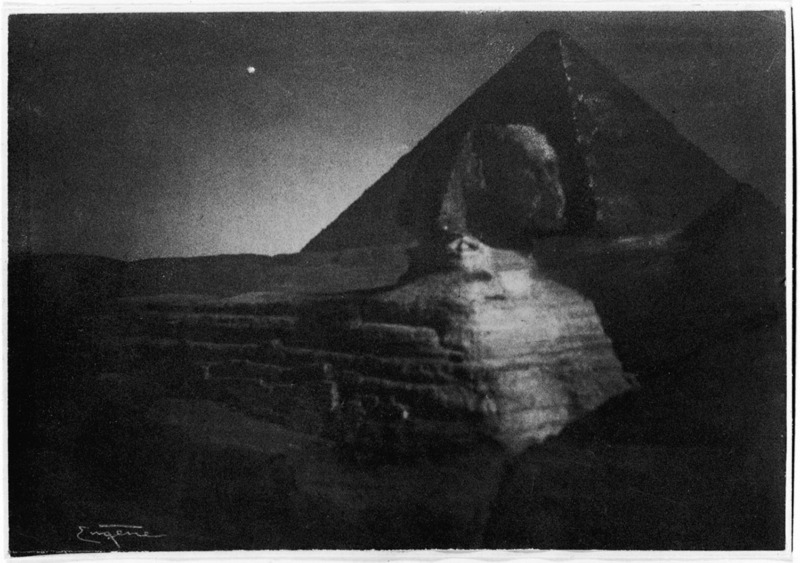 Between 1904 and 1910 Eugene’s works were published as heliographs in the advanced photography journal Camera Work’ and became internationally known. 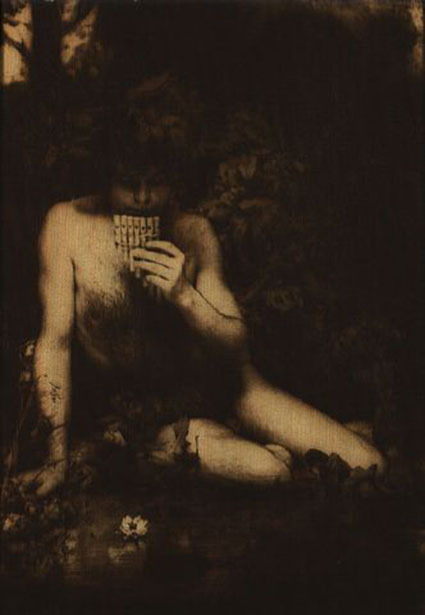 Eugene orientated himself in his photographs at painting, following the romanticising style of art photography: Eugene’s treatment of the negatives with opaque colours and etching needle led to his wanted pictorial and graphic effects and with his favoured techniques like platinum print and the rubber-bichrome.technique, he achieved the modern blur of his positives. 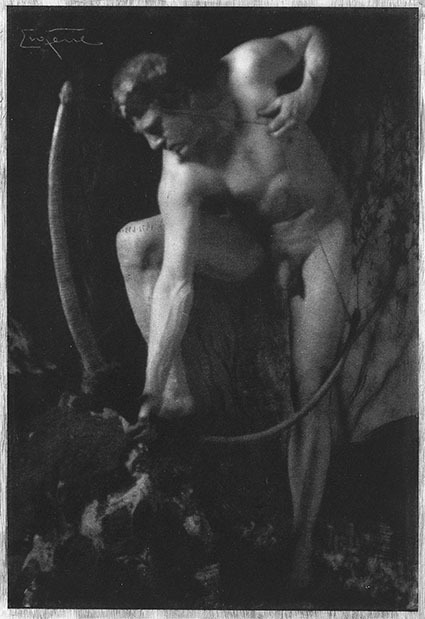 Since 1907 Eugene began his educational work at the Lehr-und Versuchsanstalt für Fotographie in Munich, which he continued at his chair for artistic photography at the Königliche Akademie für Grafische Künste in Leipzig in 1913. 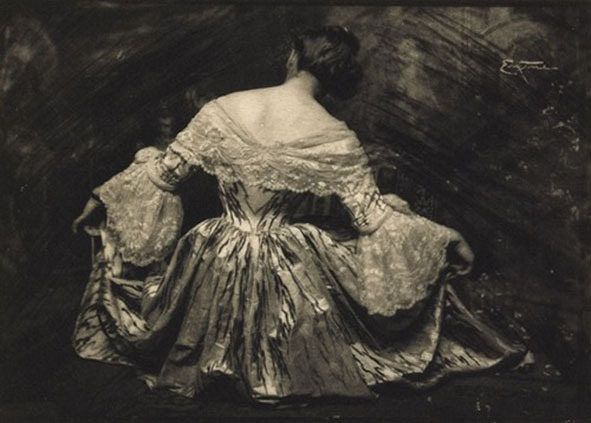 In 1907 Eugene organised a meeting between Stieglitz, Steichen and Heinrich Kühn and brought forward the assimilation of German art photographers to American guidelines. Frank Eugene died in Munich in 1936.